In these puzzles, we shall learn about the beloved Crown Prince of Ayodhya, the great Archer Lord Rama! Rama was extremely skilled in this art. Rama was born in the dynasty of this star. This Mother was instrumental in Rama’s period of exile in the forest. Name the ancestor of Rama who brought down the Ganges from Heaven to earth. In which Holy Sage’s hermitage did Sita and her sons stay in after being banished from the kingdom by Rama? What is the name of the selfless monkey who worshiped Rama? This boatman carried Rama, Sita, and Lakshmana across the Ganga in his boat. Name the ruler of Lanka. What is the name of the King of Monkeys who assisted in the search to find Sita? Name Rama’s devoted brother who accompanied Rama and Sita during the period of exile. Sairam! In these puzzles, we shall learn about the charming Son of Mother Yashoda, the butter stealing Lord Krishna! What was Krishna’s favorite snack, which he stole from the villagers? Which noble woman did Krishna save from the Kauravas? Which instrument did Krishna play so melodiously? The grand festival of Guru Purnima, the day the mind presided over by the moon which is shining in its full glory is humbly offered at The Lotus Feet of The Guru, Bhagawan Sri Sathya Sai Baba who is also our friend, our companion and our Lord. Swami has traveled extensively across the length and breadth of India and also has traveled abroad once. In this crossword, you have to find out the names of some of those holy cities. 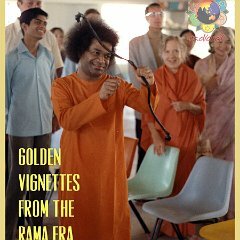 Each of these places is special in that there is a well known story behind Swami’s visit to these places. Sairam! In this puzzle, we shall learn about Mother Nature&apos;s interactions with Divine Beings.